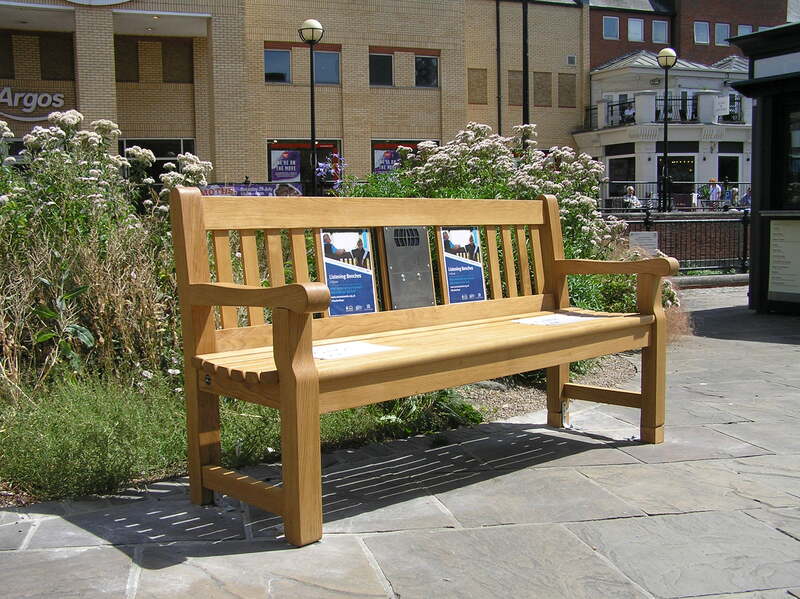 Welcome to the information page for the listening bench installed in Chelmsford, Essex. The bench features clips that reveal how the city has changed in the last hundred years. They include memories of notable events, such as the First and Second World Wars, as well as childhood memories of games played around the city. The bench is installed in Backnang Square outside The Meadows, near the Springfield Road bridge over the River Chelmer. The audio for the bench has been chosen and put together by volunteers, working with the Ideas Hub, with the support of the Chelmsford Civic Society. It has been kindly hosted by The Meadows. Many of the recordings were originally created by the Chelmsford Museum, along with one recording by BBC Essex, and are used with their permission. Clips from a BBC Essex piece on the opening of The Meadows shopping centre on 11 October 1992 (SA 1/1030/1). Cyril Frost describes the former horse pond on Springfield Road and the traffic on the High Street (SA 15/702/1). Percy Rainbird describes watching aircraft fly overhead in the First World War (SA 15/703/1), and Marcus Knight recalls bombs that fell on Chelmsford in the Second World War (SA 13/6/6/1). Freda Oddy shares some memories of growing up in Chelmsford in the 1920s-1930s (SA 26/18/1). Muriel Lee describes games she played in Chelmsford, and a carnival organised by the children on her street in the 1920s (SA 26/17/1). Mr Fleming describes how ball bearings from Hoffman’s helped make the best trolleys for racing down hills, and remembers fetching milk from a nearby farm (SA 15/1/2/4/1).